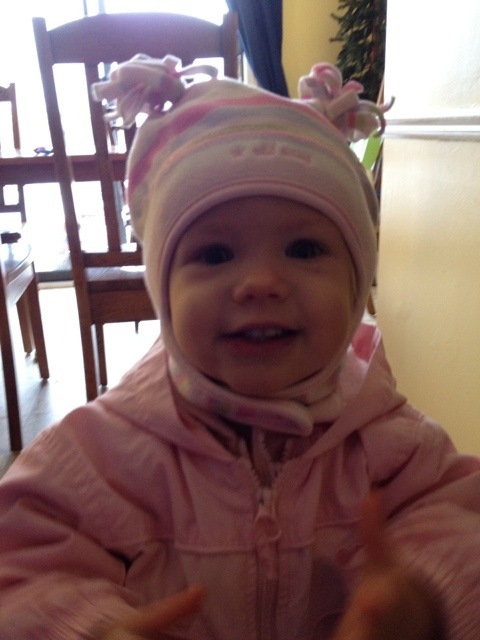 That one is adorable in her coat & hat. YES….. a thousand times YES! This is the truth and the only reason I hate cold weather! Try getting 14 2 year olds in coats, hats, and mittens so you can go out for maybe 30 mins and we have to do that twice a day. It takes at least 15 mins to put them on and then you have to come in and take them back off and put away. Don’t forget finding and picking up all the pieces on the playground because they take them off and throw them down but remember them when its time to go in and lose it because they lost their mittens! Good thing my coat has deep pockets because I fill them up with hats and mittens every time we go out. Now that is the reason I HATE coats. or should I say strongly dislike! !